Free Drug Card is a nationwide Prescription Assistance Program (PAP) that helps all Americans lower their prescription drug costs. This program has Lowest Price Logic to guarantee that you get the best deal on your prescriptions. 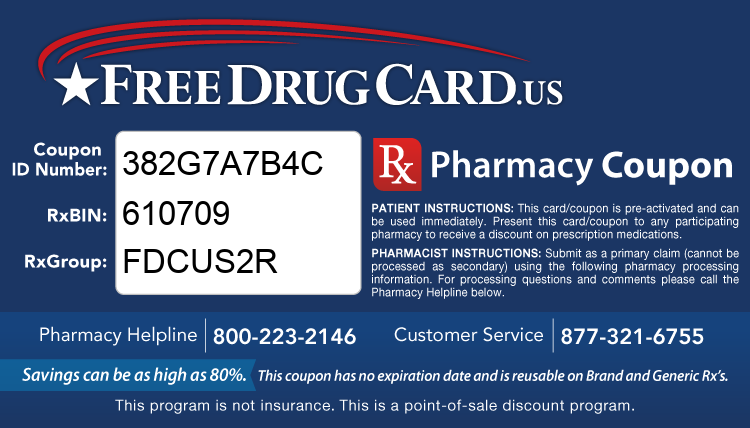 Print your FREE discount prescription drug coupon card below. 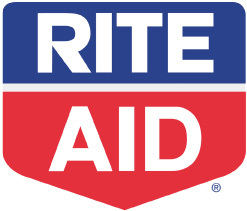 This free Rx coupon card will provide you with Rx medication savings of and save up to 90% at more than 68,000 national and regional pharmacies across the country including: Walgreens, CVS Pharmacy, Walmart Pharmacy, Rite Aid, Kroger, Kmart Pharmacy, and Safeway.